Meet Cinnamon! She is a Scion XB and she is my baby. I love this car more than I've loved any car in my life. She's beautiful and fun to drive. That's why I spoil her, treating her to the highest quality of products. Well... Cinnamon is about to get a new driver. This summer my son got his drivers license, started his first job, and starts his senior year of high school in 4 days. Talk about an emotional whirlwind for this mom! Not only will I be getting him ready for back to school, Cinnamon is also ready to make her back-to-school first impression count. We took off for Wal-Mart to purchase some car care items for my son to have of his own. We came across this awesome display full of Armor All® products in the automotive department. 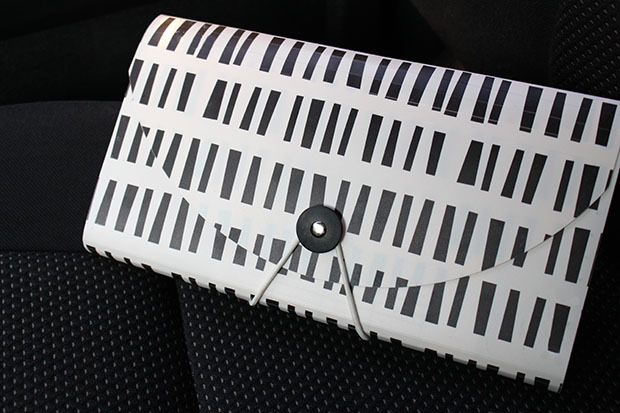 The Armor All® Outlast items caught our eye in their pretty shiny boxes! 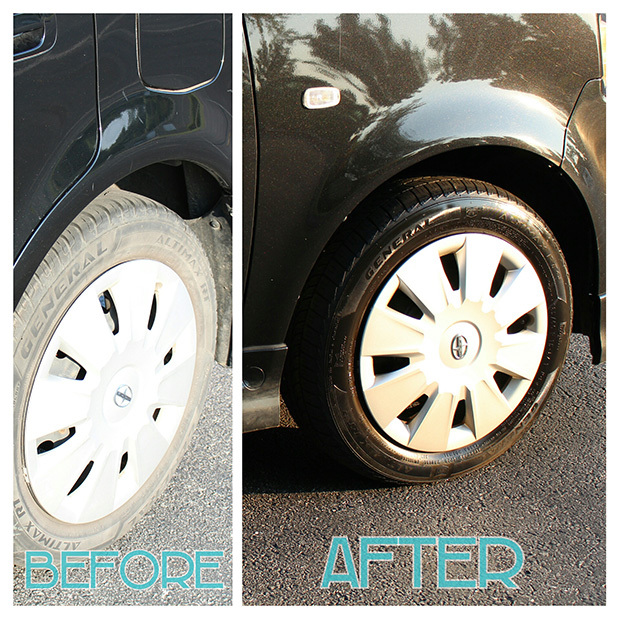 We picked up the Armor All® Outlast Tire Glaze [what is it with teenage boys and tires/rims?] and the Armor All® Outlast Protectant. 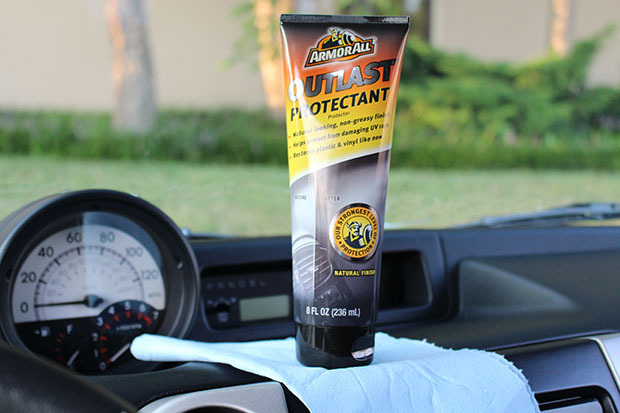 The Armor All® Outlast Protectant provides a natural looking finish [not greasy] and helps to protect from damaging UV rays. I love a beautiful clean dash, but I HATE a greasy car. New drivers can over do it with the cleaning so you don't want them using something that leaves a greasy film behind. Just apply a liberal amount to a lint-free [my preference] towel and rub onto: Dash/Console, Vinyl Seats, Plastic Trim, and Door Panels. This product is a thick cream which makes it very easy to use. Perfect for the new driver. I'll let the before & after photos speak for themselves here. We were incredibly impressed with the Armor All® Outlast product line. I also have to admit that the tires did look amazing after using the Armor All® Outlast Tire Glaze... You just spray it onto clean dry tires. That's it. Easy as pie, and the results are beautiful. Tires are a part of the car I didn't previously focus on when detailing my own car. I'm sure my teenage son is smug in being right about pretty tires completing the overall look of the car. Wal-Mart currently has a coupon for $2.50 off any (1) of these Armor All® Outlast products: Armor All® Outlast Trim & Plastic Restorer, Armor All® Outlast Tire Glaze, Armor All® Outlast Leather Restorer, and/or Armor All® Outlast Protectant. I also made a glove box organizer for necessary papers and more. I HATE car clutter, so I want to pass that along to my son as well. Glove boxes aren't junk drawers! I keep a phone charger, a pen, the owner's manual, and an organizer for papers in the glove box. Just grab a medium sized accordion file. These can be found in the office supply section. I happened to have one already on hand [actually I have like 5... I'm such an office supply hoarder]. Wal-Mart also has little 5.5"x8.5" 3 ring binders that would work too depending on the size of your glove box. I labeled my sections with an Ultra Fine Point Sharpie. Label your sections with whatever categories you think you'll need. Your needs may be different than ours. ♥Notes: blank notepad paper, cause you never know when you may need it! Like in case of an accident, you can exchange information. ♥Contact Info: Quick reference to our roadside assistance number, our mechanic's phone number, emergency contact numbers [your phone might not work in an emergency], etc. ♥Quick Reference: Little tid-bits about the car that you can access easily. Like tire pressure, oil type, etc. ♥Money: Not much, just like $10. You don't want your high school age new driver or college driver in another city not have emergency cash. ♥Maps/Directions: We all have become too dependent on technology. Keep printed maps & directions in this section when traveling just as a backup. ♥Emergency: This category may seem redundant but... In this section I put detailed typed lists of what to do in different emergency situations that might arise. Young drivers can get worked up really easily and they might not think properly in an emergency. You can instill in them what to do, but when it comes down to it, they may draw a blank. What if the emergency happens in an area where your young driver has no cell service and they can't call you? This is just a peace of mind for you and your young driver. Now that you've got some ideas on how to help your young driver prepare for Back-To-School time with Armor All® Outlast products, you should enter this chance to win a $1000 or $500 Wal-Mart gift card! 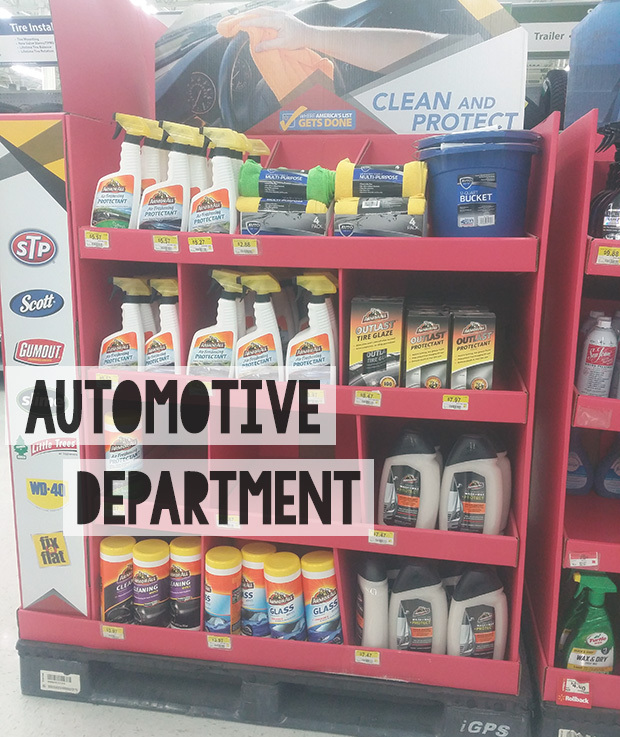 Think of all the car care prepping you can do with that! When I was a new young driver, I was horrible at directions and was always getting lost. Do you remember being a new driver? What memories do you have from that time? My step son just got his first car, so I am sure he will really appreciate these tips! I will be sharing this with him. These are some great tips for anybody! I really need to put together an organizer like that for my van. Never know when you might need that odd sounding piece of information! I wonder if that gel will work on the leather couch to avoid any lint or dog hair staying on it. I like the idea of having a container of some sort to store all the things to up keep a vehicle. 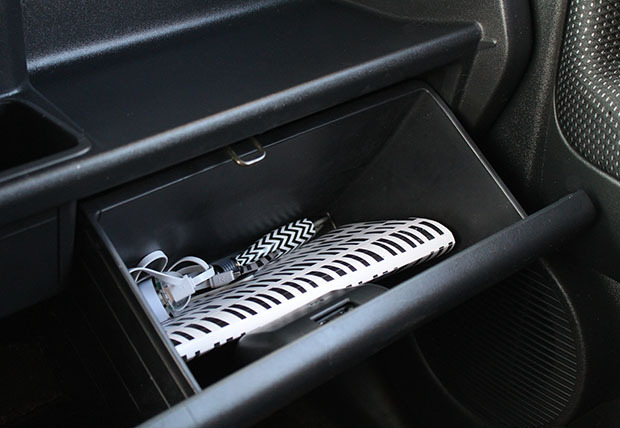 What a great way to organize the glove compartment. I can never find anything in mine. And we have always used armor all when cleaning the car. It's the best. You did an awesome job on that car. It looks super sharp! I am pretty sure my hubby is addicted to his car. He takes care of it like it was his child. Right now its in for its "visit" to the dealer for total clean out. You and my hubby would get along well! Great tips! As a born and raised New Yorker I take public transportation and never learned to drive, so hopefully I will put these to use someday. These are all great ideas. I definitely need to get my car organized. This stuff works amazing. I always buy my hubby a bucket full of these products for his bday and fathers day. Thanks for the tips. Will keep them in mind. Really awesome for car owners. 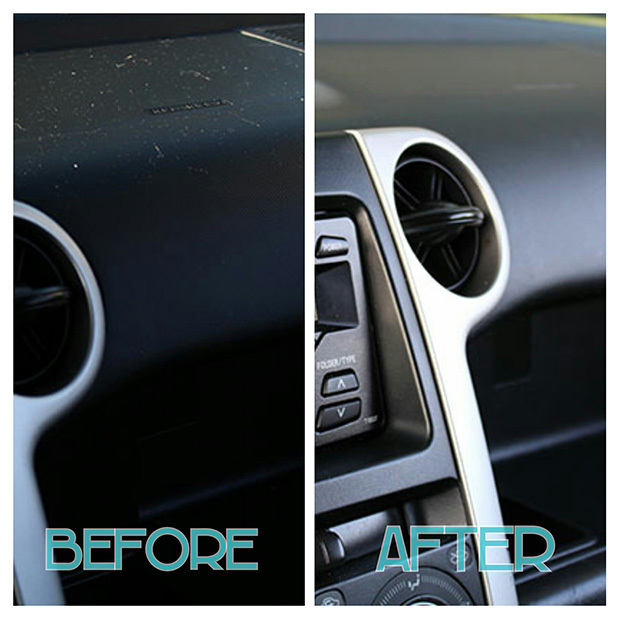 Thanks for sharing this car care and organizing tips. I have to give my car's glove compartment some organizing too. These are wonderful tips you've shared. My husband uses Armor All and we always have it in the car. This would be a great gift for someone like my son. He just got his license not to long ago and will be buying a new car soon. We plan on getting oupr clan clean this weekend so thanks for this post. I will tell my husband about this product. What a great giveaway! 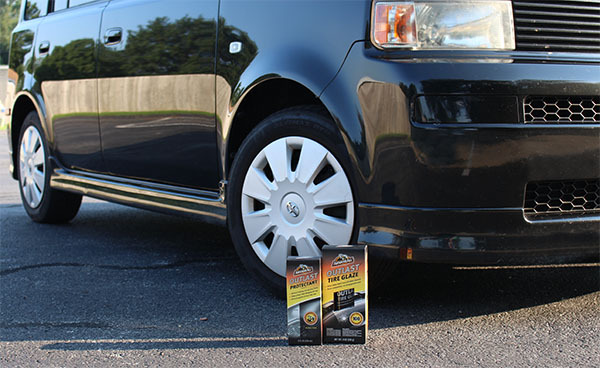 Your car came out beautiful, these products sound amazing. 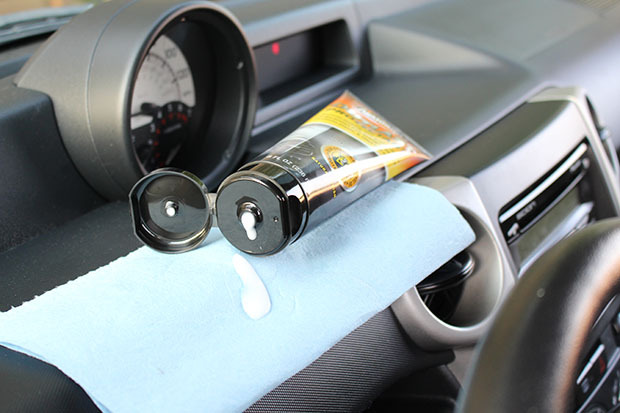 I love Armorall products for keeping my car clean. Nothing works better!! Great tips! The after pictures look amazing! I definitely need to take better car of my own vehicle. I still consider myself a young driver because I've only been driving for two years. And I am actually not familiarized with all the city streets yet. I would still get lost. :) Anyway, I love how that wheel turned out. We need to do that on our wheels too. Hear hear! I hate the car to be junked up too. It's so annoying when the glove box is full of papers / things not really needed. 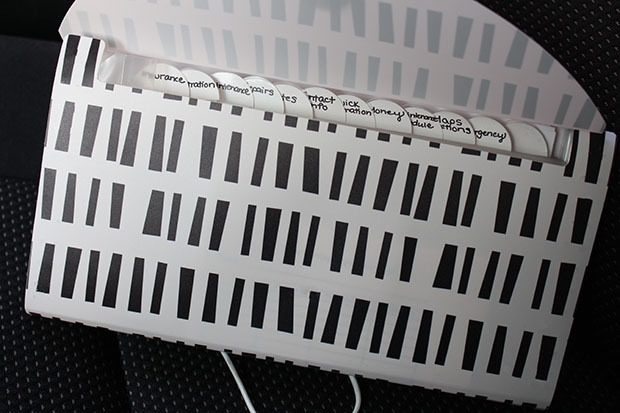 I am all about organization too but never thought about organizing my glove box. I totally need to go to the dollar store and get an accordion and put all my papers in there. 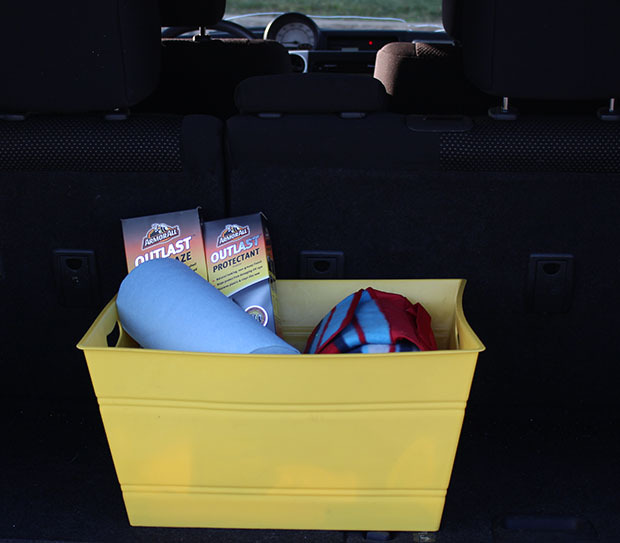 I do have ER kits in my trunk and plenty of useful items if their is an accident or my car breaks down. But, nope, a clean glove box I dont have. Armor All is the bomb when comes to cleaning the inside of the car and detailing the outside. I think my car looks the best it has ever looked with Armor All. I love the globe box organization idea! I need to do that in my van for sure! Not as cool as your car but I totally love my minivan! These are great tips. Now that both of my kids drive the car i will have to share this with them. My son is in the process of getting his driver's license this year. I will definitely have to share this post with him. With driver's licenses close on the horizon for my kids, this is a timely post. I can't wait for them to take this next step of independence! I really like having all the important documentation all organized in the glove box. It's a good idea for young drivers and old. I love these car organization ideas. I need these ideas for myself! 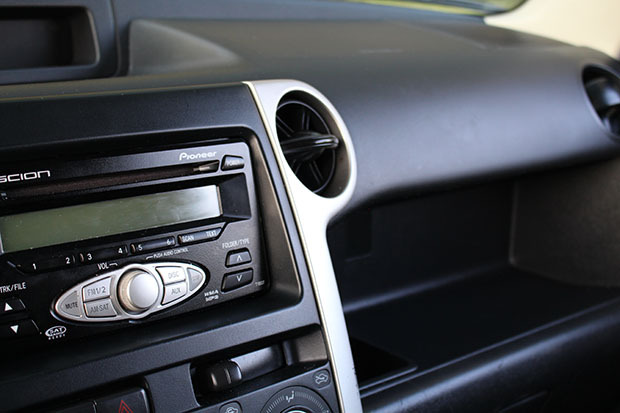 What great car tips and organizational ideas! I always believe in keeping one's car as good looking as it can be! My oldest is still young but the thought of him driving makes my nerves bad. I just got a new ride and I'm all about keeping it clean. I need to make sure the Mister picks up some of these products to keep my ride looking good. Great tips. These tips are very useful to us especially me who is very disorganize. Thank you for coming up with this. I need to clean and wipe down our cars. I can't believe how dusty they get after a few months. I like your idea on organizing the glove box. I need to do that too. Glad I saw your post! Gave me a reminder that I really need to go clean out my jeep! It's a disaster after last weekends trip!